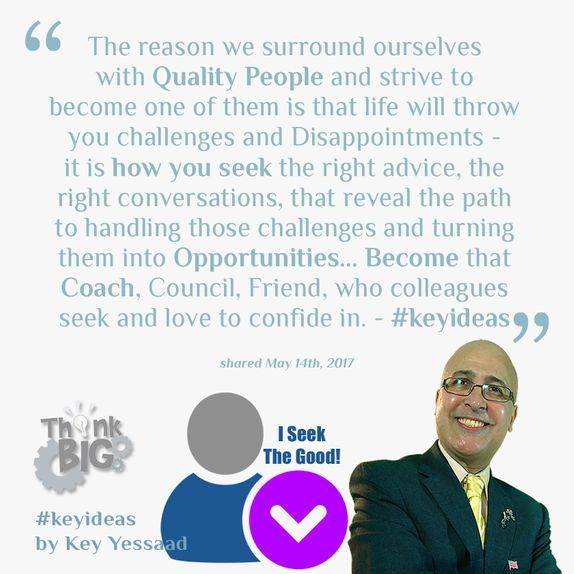 $9.99 VOD - Key How-To Video: In this 38' HD Instructional Video I bring forth the reality that Real Estate is a business endeavor that can be quite isolating; it is crucial that agents find the right colleagues and form alliances that help them grow their Business. 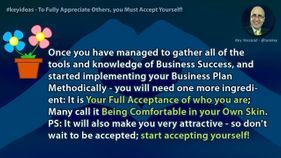 So what is a Success Partner? What are some of the activities that create the best support system? How do you get the best of each other and build a lasting business friendship? What is this activity called the ‘Mind Dump’ that Key Yessaad keeps asking agents to perform at the end of each week? Holding the proper Weekly Wrap-Up of your Business Activities, Prospecting, and Lead management Systems opens up more business and Success. This 24' HD video will help Real Estate Agents put together their own modified lighting devices so when they are on the road, and they must take pictures and videos of their Real Estate Listings, they have some adequate and powerful lights. This is a Do-it-Yourself Video and is not meant as a replacement for more powerful lighting systems available for purchase out there - but if you start here you will then appreciate and know what to do next for all your lights involving Real Estate Photography and Videography. If you enjoyed the video please feel free to share a testimonial, and also to share this website with your colleagues - Thank you! The Real Estate Agents who Control their Local Real Estate Inventory Control their Business Success and Income. Yet very few agents are integrating the proper Internet Tools, Work Habits, and Scripts to generate Real Estate Listings in a Consistent Manner! One of the biggest area of opportunity that few agents have yet to master consistently is Direct Response Marketing. It is a Strategy that goes beyond focusing on Buyers’ Leads – it is a Strategy to create the incubation system to generate listings, and using those listings to generate more listings. 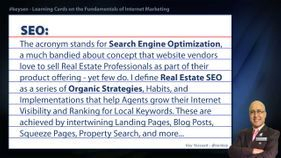 Technically speaking Real Estate Professionals must become proficient with Inbound Marketing, Proper Listing Blog Marketing, Squeeze Page Management, and YouTube Video for Validation Marketing - all of these ideas controlled with the proper Web Strategy! A point of Clarity: To my colleagues and friends at EXIT Realty – some of you may have been calling me an EXIT Trainer; would you please Stop! – I am NOT! I have many friends with EXIT and have worked for an EXIT Office years back, but I am NOT affiliated with EXIT Realty. Please respect that and respect the official EXIT Trainers – they truly work hard to help you have an edge in your Real Estate Career. Make it and Keep it Simple. Share of myself and share all I know. Make Long Term Progress and Be Deliberate. Confront Complacency and be Honest and Constructive. Be the Best Trainer on the topic of Internet Visibility and Real Estate. Real Estate Internet Strategy is exactly that - a Strategy... 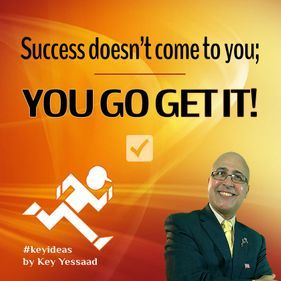 This means planning, long-term thinking, and a commitment to serve Real Estate Buyers and Sellers make the right decisions for themselves and their families... My name is Key Yessaad and I am a Real Estate Web Trainer and Strategist. 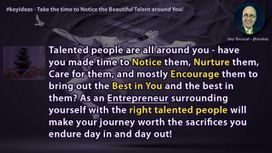 I am dedicated to train, inspire, and coach Real Estate Professionals succeed online. Every Realtor understands the importance of a proper Real Estate Strategy but the right plan of action requires thoughtful preparation and implementation. The training seminars I offer address the necessary learning and delves into Plans of Action in the field of Real Estate Web Strategy, Real Estate Blogging Strategy, Real Estate Social Networking, Real Estate Click Marketing, Real Estate SEO, and Real Estate Internet Marketing. Building your Real Estate Office online is not a separate endeavor from your physical business office; in fact your Internet presence is your business! So how do you go about attracting Google and Clients to you? right I said Google… with 75%+ of all Internet Searches starting on Google you cannot effort to be invisible. How do you build an integrated Web Strategy that serves your Sellers and Buyers and is driven organically by Internet Search?